Mr. Green is the ultimate professional. For tenacious, results-driven personal injury representation in New York City, Long Island, Brooklyn and the Bronx, you can rely on Friedman, Levy, Goldfarb & Green P.C. Our talented car accident lawyers are ready to discuss your case and formulate an effective strategy to maximize your legal recovery. 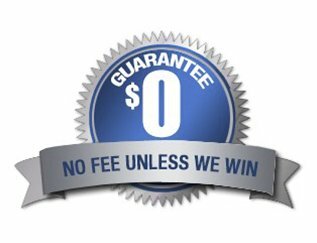 We have the resources to level the playing field against insurance companies and ensure car crash victims secure comprehensive compensation that accurately reflects past, present and future losses. Thanks to ongoing safety initiatives, traffic fatalities in Manhattan continue to decline, but crash statistics across the five boroughs indicate that more needs to be done to bolster traffic enforcement laws and hold reckless drivers accountable. People who drive drunk, fail to obey traffic laws or think nothing of texting when behind the wheel cause thousands of senseless injuries and deaths each year. According to the National Highway Traffic Safety Administration, one-third of all vehicle fatalities involve drivers who are impaired by alcohol or narcotics. In New York alone, driver distraction was responsible for nearly 50,000 vehicle crashes in 2015, and this number continues to climb. When your health and the livelihood of those you love are at stake, you want an advocate who will champion your rights, provide access to top-notch medical care and meticulously calculate the true value of your claim. Even seemingly minor fender benders can result in unplanned medical bills and physical limitations that can undermine the foundation of a family. The NYC personal injury law firm of Friedman, Levy, Goldfarb & Green has a long track record of outstanding settlements and judgements for injured clients. Bringing 80 years of collective experience, wisdom and legal expertise, our distinguished auto accident lawyers offer private consultations free of charge. After any type of vehicle accident, our attorneys can help you understand the law and safeguard your rights. In our decades of personal injury practice in New York, we have witnessed the immense physical, emotional and economic burdens placed upon accident victims and their families. New York is one of 12 states that employ “no fault” insurance laws designed to reimburse car accident victims for medical expenses, lost wages and other essential out-of-pocket costs without proving fault. This is different than a bodily injury claim that requires distinct standards of proof and entails medical bills totaling more than $50,000. Given the highly specialized procedures and rules for obtaining fair car accident compensation from insurance companies, and the various tactics used to deny or lower payouts, it’s crucial to partner with an established attorney at our firm. 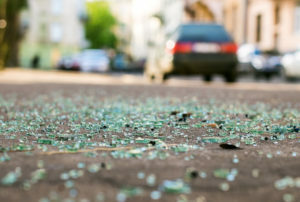 All too often, crash victims accept the first offer from the insurance company, completely unaware that they could have recovered thousands of dollars more or even pursued a car accident lawsuit against a negligent third-party. Our practice has the investigative resources and expertise to craft the strongest case possible and negotiate a fair settlement on your behalf. Our dedicated car accident attorneys have helped hundreds of New Yorkers get the medical treatment needed to recover and move on with their lives. Our team is with you every step of the way, offering honest, compassionate guidance and personal attention. The law firm of Friedman, Levy, Goldfarb & Green routinely takes on complex injury cases that other attorneys won’t touch. Our passion, creativity and commitment to achieving justice has produced outstanding case results and earned the respect of our valued clients. In New York, the statute of limitations for bringing a personal injury action is three years from the date of the accident. We have successfully litigated car accident cases arising from road hazards, reckless driving, cell phone use, vehicle malfunction and excessive speed, among other causes. Moreover, we strive to make the legal process as simple and stress-free as possible, so you can focus your energies on healing. We consider our client relationships among our most valuable asset and are poised to help get you back on your feet after a serious collision. Get the settlement money you deserve by enlisting the advocates at Friedman, Levy, Goldfarb & Green P.C. and explore your options with a car accident lawyer New York residents trust.